YZ 250 Five Star Rating "makes each gear pull further, stronger and longer". Make your power as smooth and tractable. 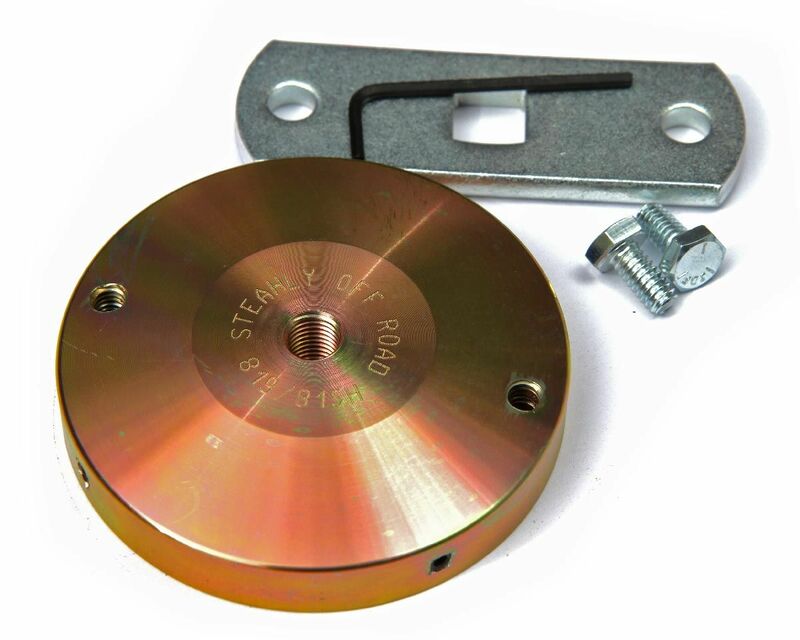 Easy installation, no special tools needed, but an E-3 engine lock up tool will make it easier. We recommend adding 11 ounces for most intermediate trail riders and less aggressive MX riders. 9 ounces for aggressive trail riders and intermediate MX riders. 13 ounces for casual trail riders or very technical terrain. 7 ounces for aggressive MX riders. 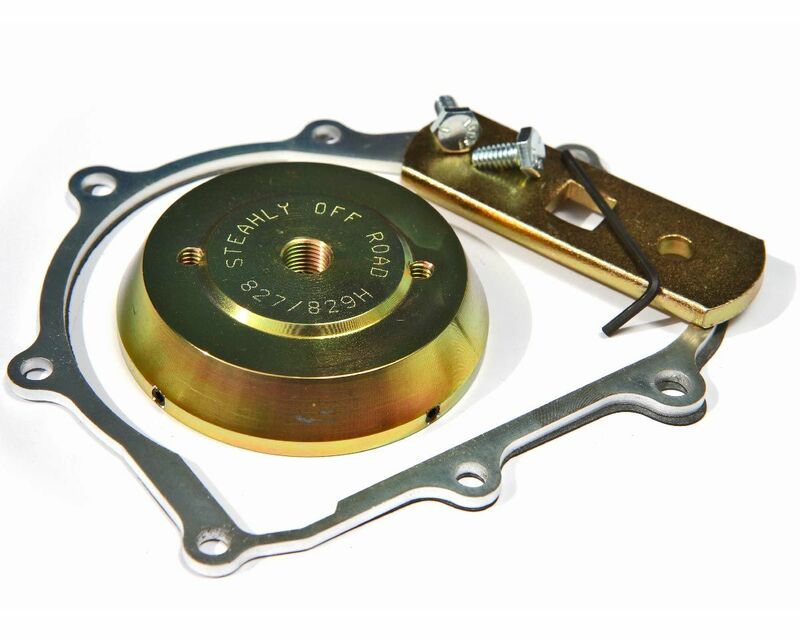 Fits under the stock plastic ignition cover without modification. Adding a flywheel weight is the most cost effective way to make the power easier to control and more predictable. Most intermediate trail riders will like to add 9 ounces. Beginners or timid trail riders 11 ounces. Aggressive trail riders 7 ounces. For MX go down one size from the trail recommendations. Easy installation, especially when using the E-3 engine lock up tool. 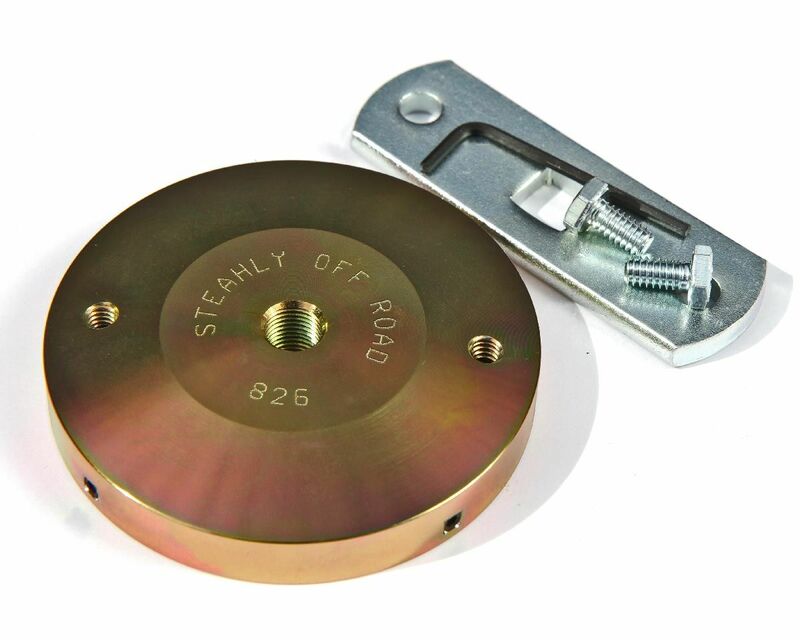 Easy installation, no special tools needed, but an E-3 engine lock up tool will make it easier. We recommend adding 11 ounces for fast to intermediate trail riders and less aggressive MX riders. 13 ounces for casual trail riders or very technical terrain. Make your 250F better for slippery conditions and trails. Our patented mounting system makes installation and removal easy. No drilling, welding, or grinding. We recommend adding 7 ounces for most MX riders. Add 10 ounces for intermediate trail riders or less aggressive MX riders. Add 13 ounces for timid or slower trail riders. 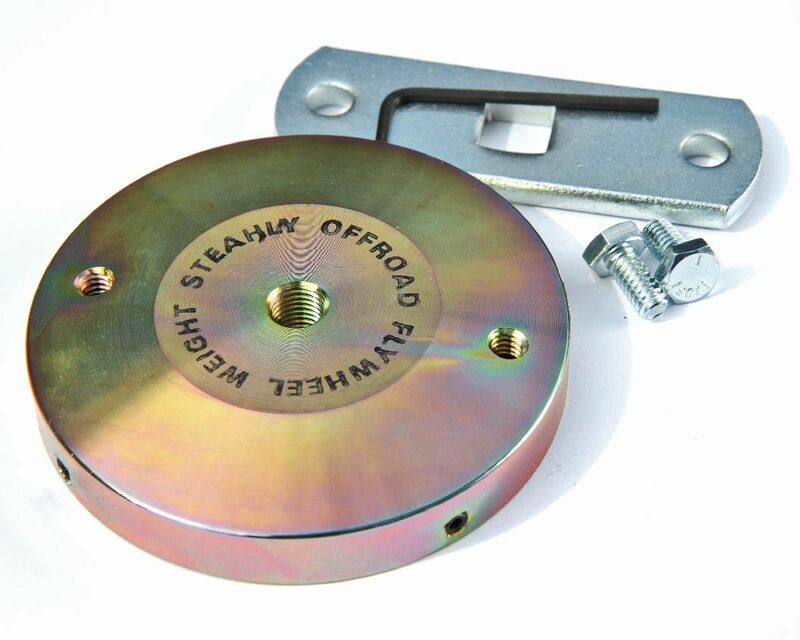 Comes with an aluminium cover spacer and installation tool. You may also need one more gasket if you tear the one on your bike. 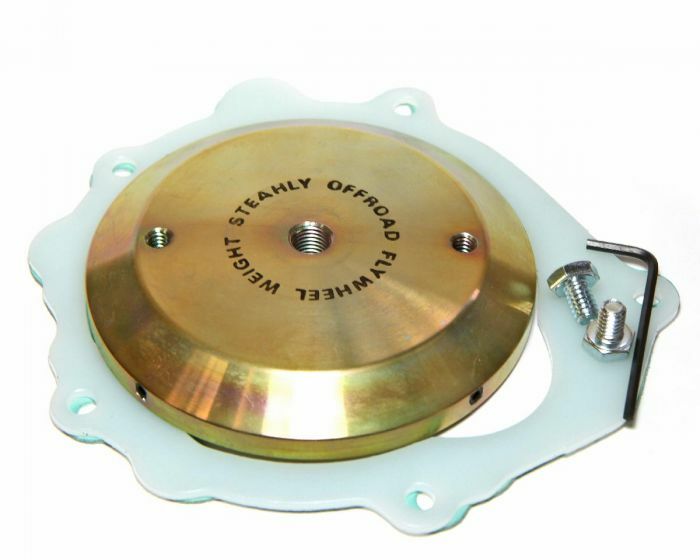 Gain tractability and stall resistance by adding a Steahly Flywheel. The bike feels torquey and more manageable. Each gear pulls farther, harder and longer. We recommend adding 10 ounces for most trail riders and less aggressive MX riders. 8 ounces for very aggressive trail riders and intermediate MX riders. 6 ounces for aggressive MX riders. Fits under the stock ignition cover without modification, cover spacer included. Make your power as smooth and tractable. 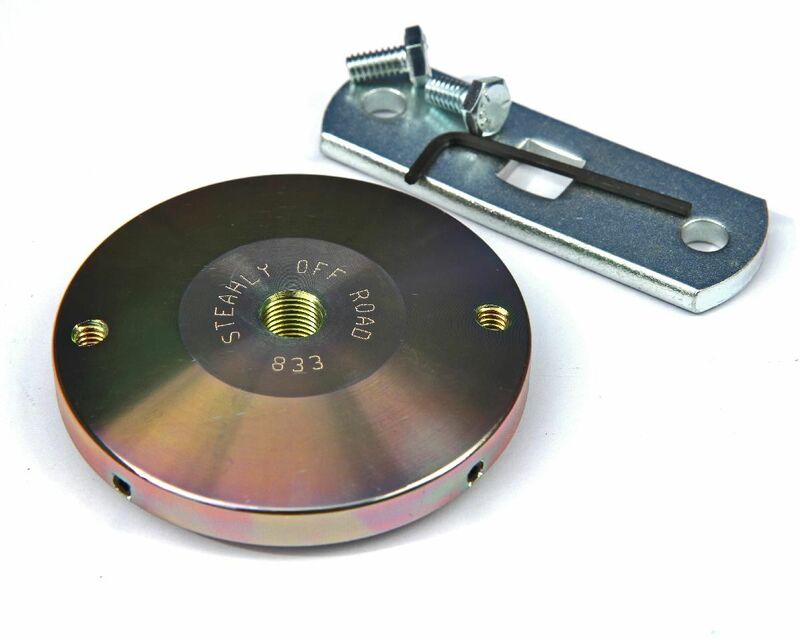 Easy installation, no special tools needed, but an E-3 engine lock up tool will make it easier. We recommend adding 11 ounces for most intermediate trail riders and less aggressive MX riders. 9 ounces for aggressive trail riders and intermediate MX riders. 13 ounces for casual trail riders or very technical terrain. 7 ounces for aggressive MX riders. 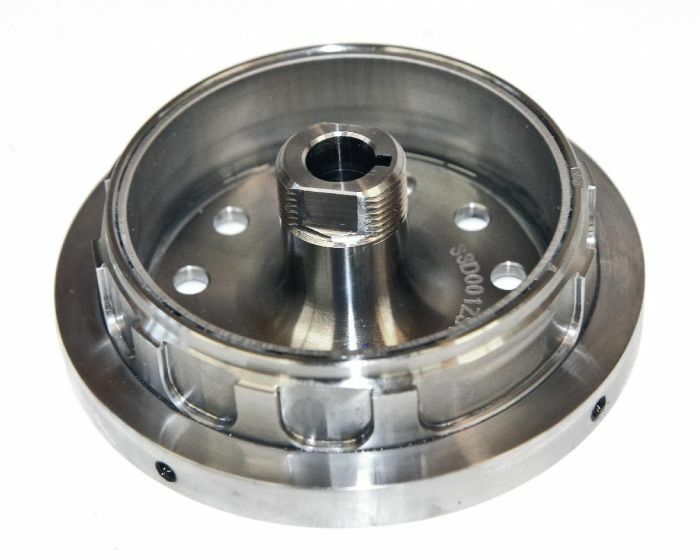 This 7 ounce flywheel weight will reduce stalling, make the power easier to use, improve traction, and improve performance in many situations. Fits Yamaha YZ250F 2014-2016.